The narrative about how smaller government municipalities are the ones actually leading the way on climate change has long been a big part of the United Nationʼs Conference of the Parties (COP) process. 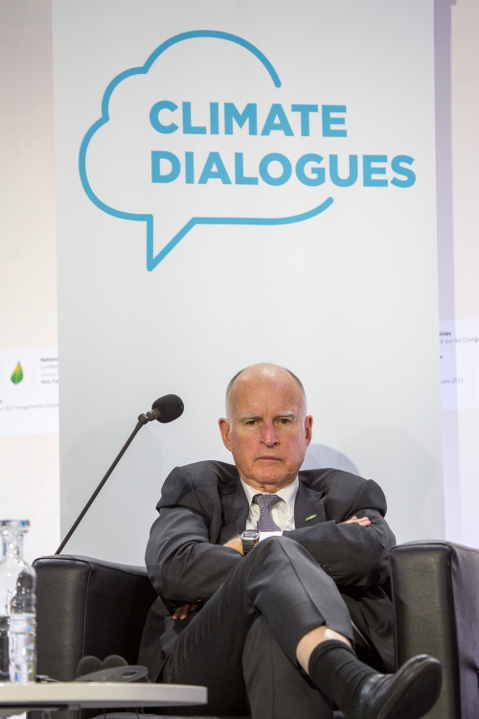 After all, states and cities the world over are often not nearly as restricted as their larger national level counterparts in their abilities to “do what is right.” It is in this vein that California Governor Jerry Brown, the man in charge of the worldʼs seventh largest economy and outspoken advocate in the war against climate chaos, has come to Paris and packed his schedule with speaking engagements all around town. 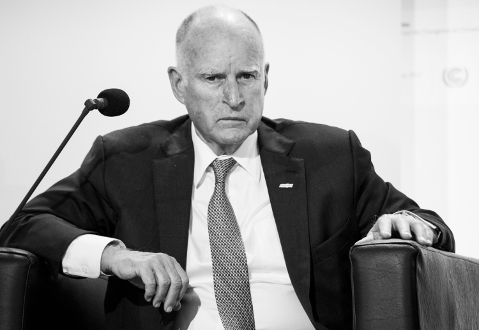 With appearances at everything from high-level events inside Le Bourget to star-studded nighttime social justice galas, Brown is a busy man over here, spreading the word about the various things California has been able to accomplish and plans to accomplish in the energy sector, such as our Solar Initiative, our state pension planʼs divestment from coal, and, most recently, a pledge to be powered by at least 50 percent renewable energy by 2030. The Paris Project caught up with him Monday afternoon at the Climate Conference where he was part of a panel with governors and ministers from throughout the Americas who have been helping lead the way on climate-change-conscious legislation and business sector stimulation. The discussion was particularly relevant to the overall goals of COP21 as it has been reported from assorted watchdog and analytical groups that, should we have any hope of keeping global temperature increase at or below 2 degrees Celsius in the coming century, roughly half of these reduction and enforcement efforts need to be implemented at the state and local government level.